BOSTON SOCIALISM: Mon, 2/13, "Rally Against MBTA Cuts!" Mon, 2/13, "Rally Against MBTA Cuts!" 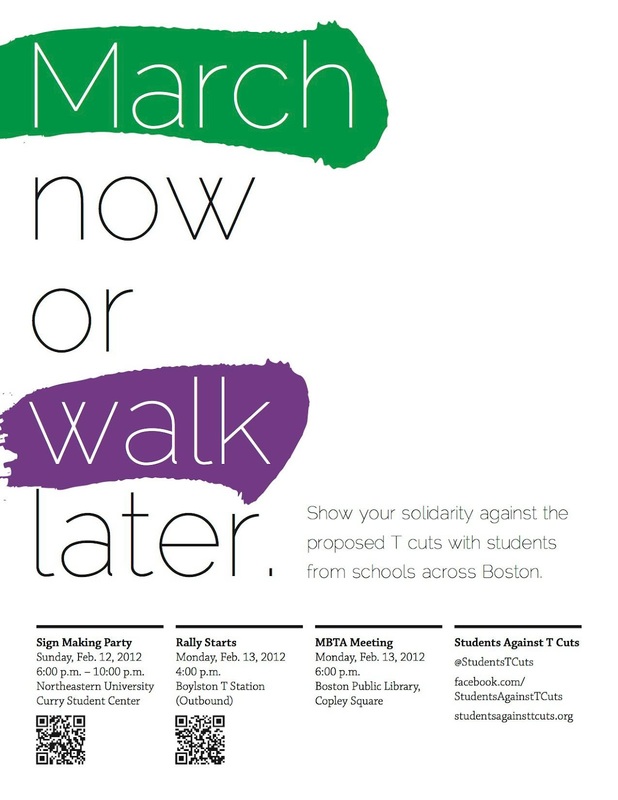 Join Students Against T Cuts for a major rally/march from the OUTBOUND Boylston Station to the MBTA Public Meeting at the Boston Public Library @ Copley Square! Schools from around the city will be converging via Park Street, Government Center, Downtown Crossing, and State Street on the Outbound Boylston Station, the first rapid transit station in the country, to show our solidarity against the proposed T cuts and have a significant presence at the Public Meeting that night.